Your dream vacation awaits you! 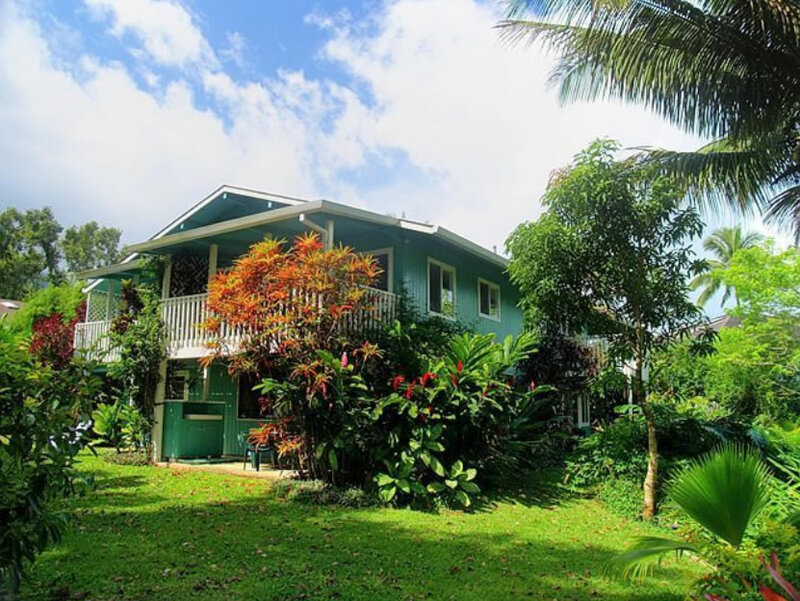 Maluhia Hanalei is a lovely, spacious, comfortable Hawaiian style home. It provides a unique combination of traditional island flavor enhanced with modern upscale amenities, as well as offering a full complement of everything you will need for a perfect vacation. This beautiful house is situated one block from the beach at Hanalei Bay and a 5 minute walk from quaint , historic downtown Hanalei. It is located at the end of a cul-de-sac and set back off the road down a long driveway. The house is not visible from the road and thus affords complete privacy. The setting is peaceful and quiet, offering lush tropical views of the adjacent conservation area and our own wonderful gardens. You can see the mountains of Bali Hai, hear the ocean at night, and wake up to the sounds of the many different species of birds in the trees surrounding the property.